June 27th, 2014 (10:46 AM). Edited July 25th, 2014 by jimmies. 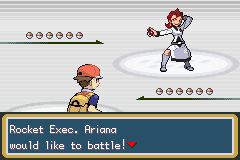 Pokémon Fire Red Evolution is a difficulty hack of Pokémon Fire Red which not only has improved trainers but also features several enhancements over the original game such as a PSS split, new moves/abilities from future installments, an updated type chart and much more. →All cross-generation (pre)evolutions are added, meaning that there are 416 Pokémon in the game. 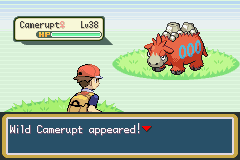 →All Pokémon are available for capture in at least one area before the Elite Four. →Some TMs and Move Tutors have been updated to teach more useful moves, in addition, TMs are now scattered throughout PokéMarts for purchase. 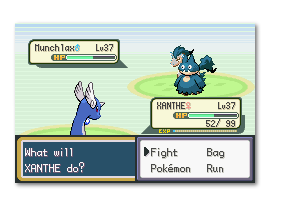 →Most Pokémon sprites have been updated to give the hack a modern feel alongside the new mechanics changes. →Trade Evolutions and other inconvenient evolution methods have been replaced. Any feedback be it positive or negative is greatly appreciated. June 28th, 2014 (1:35 AM). June 28th, 2014 (7:22 AM). Just a heads-up, the TM/HMs locations and the Read Me documents are all just a bunch of letters, numbers, symbols, etc. Link is the ultimate videogame character, versatile yet epicly speechless during an action scene! June 28th, 2014 (8:53 AM). Edited June 28th, 2014 by Arlaxeon. I'm definitly going to play this. 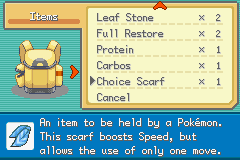 Might even start a Nuzlocke run in it. June 28th, 2014 (1:33 PM). Must be on your end. They (as well as all of the other included documents) open fine for me. June 28th, 2014 (6:08 PM). Love this hack! I will be doing a Nuzlocke Let's Play of this on my Youtube Channel so hopefully this will get more attention. June 28th, 2014 (7:16 PM). 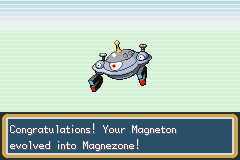 I'm sorry, but did you say mega evoutions? 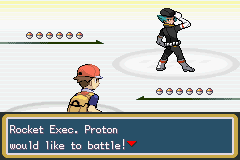 Like mega evolutions are in this game? June 29th, 2014 (5:24 AM). how far current version goes ? June 29th, 2014 (7:41 AM). @up "Version: 0.95 (Length: Main Game/No Post-Game"
June 30th, 2014 (2:11 AM). 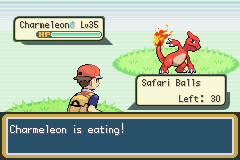 I'm loving this so far, it's the Kanto experience I really wanted. Are there any save editors that work with it, though? A-Save doesn't. June 30th, 2014 (6:53 AM). 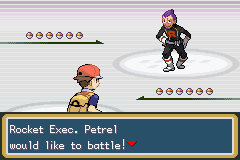 Hey Jimmies, can you post a text guide (ie: Pastebin) that has the levels/items/information of the eight Gym Leaders, E4 and Champ? When ROM hackers say there is a difficulty increase, the majority of them go out of control to make a difficult game. I just want to know what I'm dealing with before I download it. Obviously this is not finished yet, but once you're done with the game, could you make one? Thanks. Have you tried Metropolis? I had issues with A-Save until I downloaded Metropolis. It works for Generations 1-3, but its worth a shot. June 30th, 2014 (10:29 AM). June 30th, 2014 (3:03 PM). 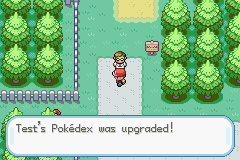 I can't read the Pokemon changes document. I converted it from rtf to doc and when I try to read it, it saysithe file is damaged. Please help, the attack update and level up moves document was successfully converted and that one I can read just fine. Am I doing something wrong? BTW I'm doing all this on android. July 1st, 2014 (4:25 AM). 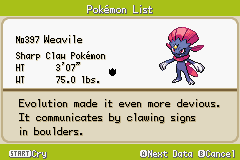 Incredibly difficult in the time between Brock and a bit after Misty, but once my Venusaur and Haunter leveled up they wreck everything together. Really, really great. July 1st, 2014 (5:55 AM). 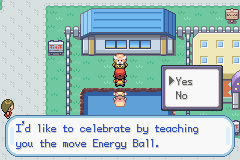 Yes and yes, this hack was actually made with nuzlocking in mind. No, just normal evolutions that weren't in Gen III like Yanmega and Sylveon. The champion, so all of the main game. Can't really answer this as I haven't used save editors. No problem, check the "Level Curves" section. Try seeing if it opens on windows, I haven't tried them on android, however I might make NotePad versions of the documents that would work on android. July 1st, 2014 (8:06 AM). I see, I actually don't have a computer or laptop ATM so, yeah I guess I'm stuck for now. July 2nd, 2014 (2:52 AM). Edited July 3rd, 2014 by Arlaxeon. But I guess that's part of the challenge... Good work so far ! I'm really enjoying it. 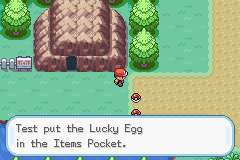 *Edit - If you really made this hack with nuzlocking in mind... You're evil... I just saw a Swords dance + Speed boost + Acrobatics Ninjask -,- WHAT THE HELL. July 2nd, 2014 (3:06 AM). This is a MUST play for me. The perfected experience that I've always wanted. I love the effort that you have put into the documentation! July 3rd, 2014 (7:35 AM). I hope that this will be fully finished soon. July 3rd, 2014 (10:16 PM). 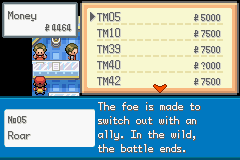 Since I am unable to read certain documents at the moment, I need to know where to get Sylveon. More specifically, how does Eevee evolve into Sylveon? Thanks in advance if you decide to answer my question, I'd really appreciate it. July 4th, 2014 (1:04 AM). 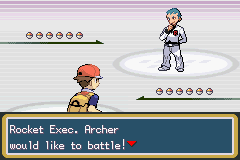 I promised myself that I wouldn't do another Nuzlocke challenge on Fire Red after I finally did it on my 3rd try with Charmander... Technically, this is a hack of Fire Red so I won't feel bad about breaking my promise. xD I can't wait to see the finished product or something close to it. 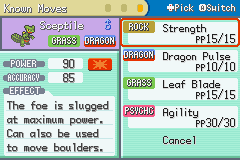 Then again, I don't think I need to do the Post game content for a Nuzlocke challenge. Come check out my Twitch stream for all things Pokemon and non-Pokemon related insanity. There is also my YouTube channel if you want some Pokemon related and non-Pokemon related content as well. July 4th, 2014 (3:04 AM). Edited July 7th, 2014 by Arlaxeon. 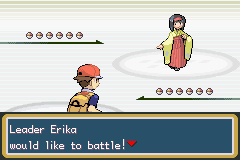 Allthough, if the S.S. Anne sailed out of your screen, you do still walk back to Vermillion as usual, but your invisible. 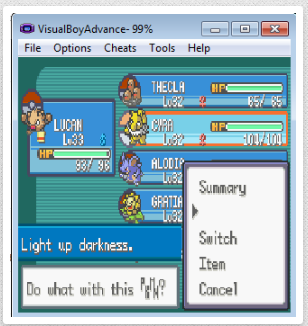 Some people start getting better teams way too early when you rematch them... One of the campers on the route north to Vermillion has level 31 Granbull and level 31 Breloom on the first rematch... Not that I don't like it... 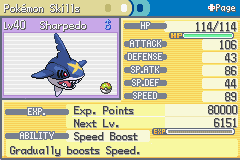 Tons of EXP right there... 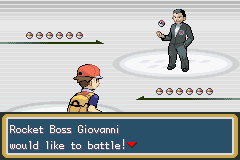 While the Rich boy on the same route keeps his pokemon at the same level every rematch. 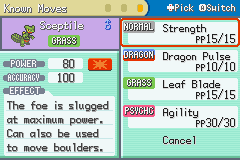 Some HM moves names are white where they should be blue. It appears as a undead pokemon behind or before the pokemon sent out lol. July 6th, 2014 (10:31 AM). I have seen the same bugs that Arlaxeon. Also one question is there something wrong with the medal system and the levels of your pokemon because even when they where past the level cap they still obey even the trade ones? The flowers bloom, then wither... The stars shine and one day become extinct. This earth, the sun, the galaxies and even the big universe, someday will be destroyed. Compared with that, the human life is only a blink, just a little time. In that short time - people are born, laugh, cry, fight, are injured, feel joy, sadness, hate someone, love someone. All in just a moment. And then, are embraced by the eternal sleep called death. July 7th, 2014 (2:38 AM). after patching full version, i get blackscreen just after that " you are gonna embark on new journey"
"Sorry for the mistakes in my posts, I just have a old PC to attend my beloved PokeCommunity." 1MB Sub-Circuit (Solution)-> (New!) --->Click HERE. July 9th, 2014 (2:41 AM).